Podcasting Revenues Have Doubled – Are You In? Is there money in podcasting? In a word, yes. A new study out this week from the Interactive Advertising Bureau (IAB) shows remarkable growth in the podcast space. Among self-reporting podcasters, revenue grew from $119 million in Fiscal Year 2016 to $257 million in Fiscal Year 2017 a growth of 117%. In terms of overall industry growth, the total US podcasting market has grown from $169 million to $314 million in the same time period, an 86% growth. This more comprehensive indicator of podcast revenue is expected to double again, reaching $659 million by 2020. Smart Speakers Like Google Home and Amazon Echo, aka Alexa. The vast amount of content available thanks to a low barrier of entry for podcasters. More Americans have heard of a podcast than can name the current Vice President. Listeners’ fatigue with terrestrial radio. With some exceptions, several large companies own most U.S. stations, and have homogenized the content and removed personality. That last point is important. Local radio was able to survive the advent of television, the Internet, and more thanks to its intimate connection with its audience. When you’re in the car, it’s just you and the DJ. And that personality can paint a picture in your mind’s eye, unlike television. Some hosts still wield that power. Those that don’t are being replaced by podcasts. It’s this opportunity to create an intimate relationship with a captive audience that makes podcasts to valuable to content producers and their employers. If someone is listening to your podcast, they’ve sought out your content. This is true of mass appeal shows like The Daily from The New York Times, as well as niche audiences like Four Finger Discount, which dedicates each show to breaking down one episode of The Simpsons. As of this writing, the cartoon has aired 639 episodes, so those podcasters have some catching up to do. One area where podcasts have learned from radio is the “endorsement.” Per the IAB study, “host reads” make up 2/3 of all podcast advertising. This makes sense when you think about it. Listeners are coming to podcasts because they trust the hosts and the material they present. Thus, the hosts of Pod Save America, even if laughing, are more effective ambassadors when reading copy for Ziprecruiter than a voice-over announcer would be. Here’s the rub. You’re not going to make money out of the gate with podcasts. Sure, you might get lucky and go viral, shoot up the Apple Podcasts charts, get shares from social media giants, or be a talented salesperson who could sell snow to an Eskimo. But the more likely revenue path is to be patient and focus on quality. The podcast barrier to entry is extremely low. Theoretically, you could create a podcast with just an iPhone and its own internal microphone. Think about this, though. Remember when YouTube started? We’d watch anything! Live videos on the computer – so cool, right? As the tech improved and the competition grew, however, our tastes became a bit more discerning. All of a sudden we lacked patience for low resolution or shaky videos. Soon we started losing interest in anything that wasn’t HD quality. Now, there are YouTube videos with better production value than some television shows. The same trend is taking shape in podcasting. Sure, your cousin Joey is naturally hilarious, and his podcast of walking around the street was compelling, at least for awhile. However, if you want to be taken seriously, especially by advertisers, you’d better sound like you know what you’re doing. That’s where I come in. If you want your podcast to sound professional enough to sell to advertisers, you need a professional. I worked in the radio industry for 15 years and had to edit on-air quality audio daily. Since then, I’ve been in the podcast space. If you’re interested in my help, I can help you conceptualize and launch your show, and I can edit for you as well. Drop me a note via my contact form here. On the surface, podcasts and radio broadcasts are similar. People speak into a microphone with guests and send the audio out to an audience. When you dig a bit deeper though, radio and podcasts could not be more different. I spent the better part of two decades as a radio personality, wanting to believe my audience was hanging on every word. Honestly, this was a pipe dream. Think about how you listen to the radio in the car, where most listening occurs. If someone is sitting next to you, you’re probably more engaged in your conversation. If you’re alone, you are frantically pushing presets until you find a song (or morning show topic) you like. With podcasts, however, a listener has gone to the trouble to specifically download (or stream) your content. They have an active interest in what you have to say. True, they may be at the gym, in the car, or at their desk, but you’ve got much more of their attention than a typical radio show. Traditional radio is consumed on the radio station’s schedule. Stations and personalities are taught to “set appointments” for listeners to tune in at certain times for contests or certain morning show features, also known as benchmarks. Ever wonder why radio stations always do things at :05, :20, :35, or :50 past the hour? It’s a way to attract listeners in the middle of the “quarter hour” – think of a clock as a pie split into quarters. We live in an on-demand world, though. We watch television shows on DVR, we read news articles on our time, and we watch videos when we want. So while radio has to battle the archaic model of dictating consumers’ schedules, podcasts are available when listeners want to consume the content, right there on their phone, tablet, or computer. For example, I spend about 45 minutes walking my dog in the morning. Before we leave the house, I download two podcast episodes. I’m a Boston native so I grab the 15-minute NBC Sports Boston Breakfast Pod, as well as the latest 30 minute of The Daily from the New York Times, an in-depth look at one of the key news stories of the day. I listen on my morning dog walk, whether it’s 7am, or 9:25am. Radio broadcasters have specific, broad demographics they must hit. This might mean 18-34 year old males, or 25-54 year old females. High ratings in those demographics translate to sales opportunities. Because radio hosts must appeal to these large groups, they often have to be all things to all people. For example, when I worked in the Top 40 (Pop) format, I would have to balance my show between local news, celebrity gossip, funny phone calls, and promoting station events. Podcasting is different -you are targeting a niche audience. I’ve worked on podcasts that targeted Detroit sports fans, Jewish pop culture aficionados, and those looking for activities in the Detroit Arts and Entertainment scene. You can focus on a geographic area, a particular interest, or a group of hobbyists. The key is that you have to offer something unique in your podcast that listeners won’t find anywhere else. When you’re a morning radio or talk show host, everything has to fit into a specific window. An hour only has 60 minutes, with a certain number of those minutes dedicated to commercials, traffic, weather, and other static content. When you’re out of time, you’re out of time. This is even more extreme for music DJ’s, who may only have a 15-20 second window to speak over the intro of a song before the artist’s vocal begins. Also, hosts must adhere to FCC content guidelines. There are a number of words you can’t say on the air, and you can’t be overly sexual. Violation of these rules can lead to listener complaints, fines, and even a loss of the station’s FCC license. Without that license, you cannot broadcast on FM or AM. Podcasters have much more freedom in these areas. There is no time limit on a podcast. If you have a great guest or compelling topic, you can run with it until you feel you’ve done your due diligence. If the content keeps your listeners’ interest, they will stick with your show. Even longer podcasts (over an hour) are showing promising retention rates. Unlike a radio show that keeps going with or without you, a podcast can be paused and resumed the next time you’re in the car, or after that meeting at work. For example, in my 2015 sedan, if I’m listening to a podcast via Bluetooth when I turn the car off, the podcast will resume within a few seconds of me restarting the engine. While podcasts do have the freedom to air explicit content, hosts should be very careful in this area. Know your audience and know how much of an appetite they have for foul language and/or sexual content. For example, the hosts of the wildly successful Pod Save America are former Obama staffers who are incensed by the actions of the Trump administration. And while I agree with them on many points, I find the number of “F-bombs” in their show very off-putting. Another key point: Apple Podcasts (formerly iTunes) is still the dominant podcast platform. If your show has explicit language, you must mark it as such when uploading your content. If you don’t, and a listener reports you, Apple could delist your show, crushing your potential audience and download numbers. Radio stations pay rights fees to publishing organizations such as ASCAP, BMI, and SEASAC to air (and stream) the music of artists and other composers. This is, at present, not an option for podcasts. As a result, you may not use copyrighted music or content (even snippets) in your show. This could result in delisting of your show, or worse, a lawsuit. We’ve all heard the cautionary tales of social media. Once you put something on the Internet, it’s there forever. Even if you delete a tweet or a snap, someone can always screen-shot it for perpetuity. Radio broadcasts go over the air (literally) and are gone. Podcasts can stay online forever. The advantage here is that as long as your shows stay online, you never know who may hear it, and if it could go viral. I’ve heard of shows that are years old suddenly catching fire because the right influencer stumbled upon and shared it. While revenue for radio stations has dropped over the last several years, they are still making money. Very few podcasts are. Podcast listening is expected to grow 85% in 2018, and revenue will eventually follow, but the business model isn’t there yet. Podcasts still have to overcome the fact that many people don’t know HOW to listen, and that’s hurting growth. What’s important for a business to remember is this: While you may not see a direct ROI on your podcast, a podcast gives you a chance to build brand awareness and spend time with your business’s most passionate customers. Podcasts CAN make money, but it often takes years, hard work, and a little bit of luck. To hear one such success story, check out my interview with Lauren Levine, co-host of The Margarita Confessionals, an award-winning show out of Charlotte, North Carolina. It’s not easy to get a radio job. In this world of corporate consolidation, it’s just as hard to keep one. 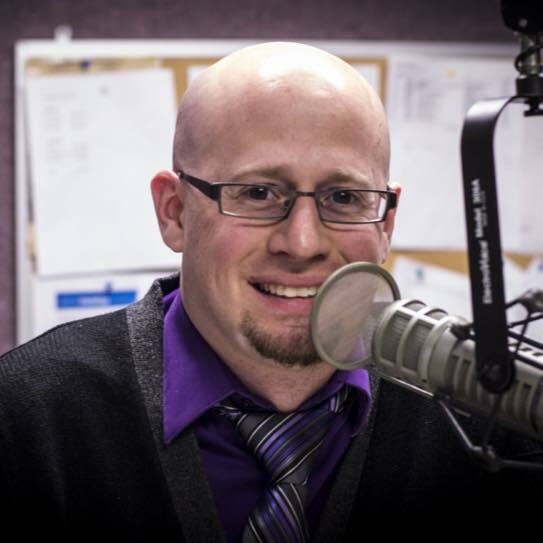 From 2006-2017, I was laid off from radio stations due to budget cuts three times. And each time, it took several months (and usually a cross-country move) to find my next opportunity. Many stations no longer have full staffs. For example, when I ran a station in New Orleans, I was the only full-time employee of the station. Corporate mandated that I run several national shows, and I shared internal resources with the other stations in the building. There are fewer jobs available now than ever before. Conversely, anyone can do a podcast. In concept, you could by a cheap mic, plug it into your phone or computer, and upload it to Apple Podcasts. And if you’re doing it as a hobby for your friends to listen to, great. To build a successful podcast, however, you’ll need to invest in microphones and recording equipment or renting studio space. This can range in cost from several hundred to several thousand dollars, depending on your budget. That’s why I’ve started helping people create, record, edit, and publish podcasts. For more information on how I can get you set up, feel free to contact me. My wife and I have become cord cutters. We cancelled our cable subscription and will now get all programming by OTT, or “over the top” media via Internet. Many people have thought about cutting the cord from Comcast, Cox, AT&T, or whomever your cable provider is. The process can be intimidating, so let me take you through what I’ve found, and hopefully I can answer your cord-cutting questions. Why? 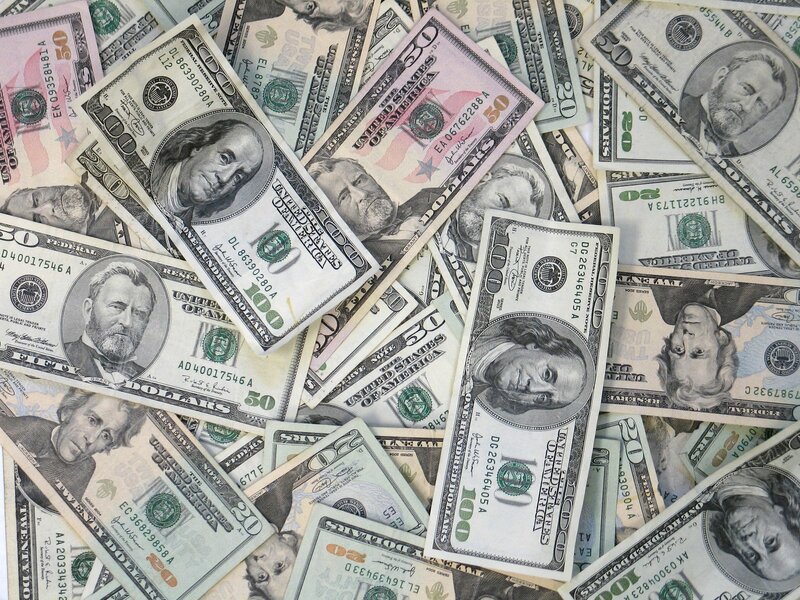 This is pretty simple – cable and internet can typically cost a combined $200 or so per month. 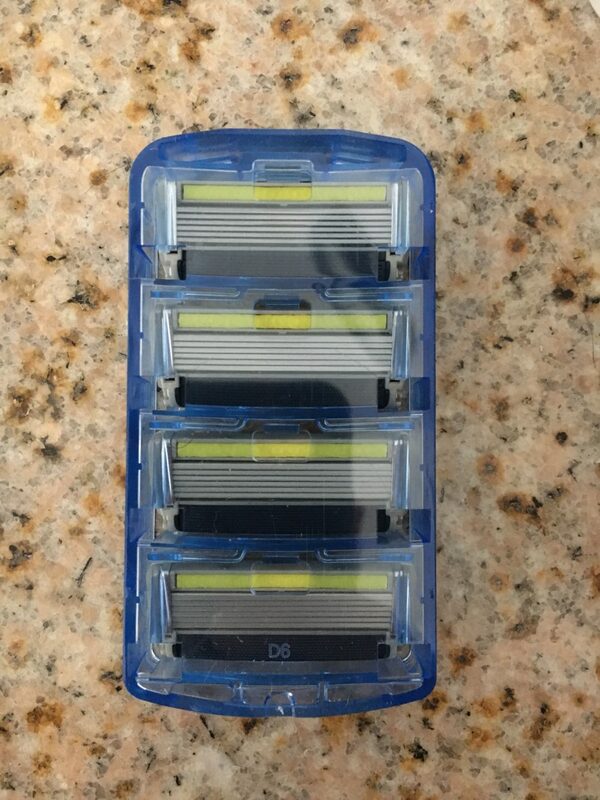 If you can cut that in half, or even by a third, why not? Who? There are may ways to get your favorite programming through services like Netflix, Hulu, Apple, and the apps for the individual networks (ABC, CBS, NBC, and Fox). 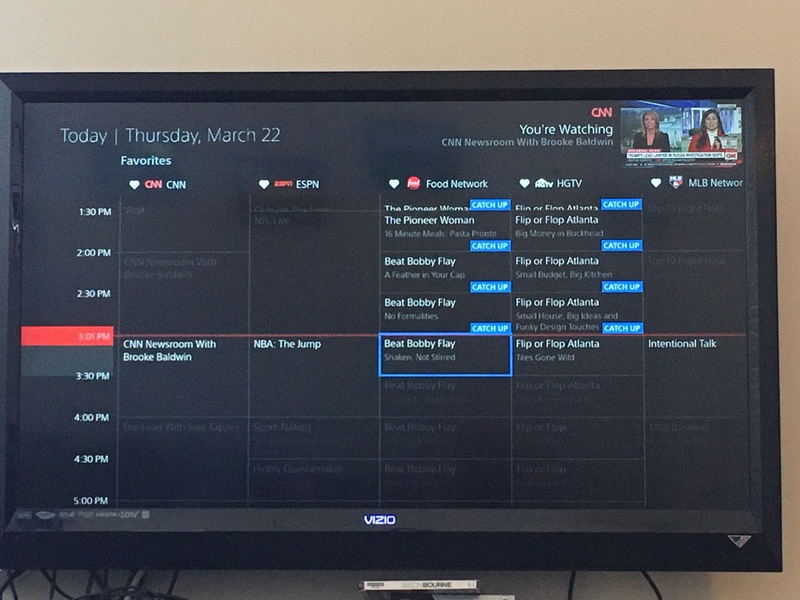 Some cable channels like ESPN and BRAVO have their own apps, but many require a cable subscription. We looked at the services that provide most cable channels (and our local ones). The website cutcabletoday.com was a great resource for comparing AT&T’s DirecTV Now, Sling, Fubo, and Playstation Vue. They vary in terms of budget-friendliness, sports programming, DVR, and more. Where? We have three televisions in our house, in the living room, the bedroom, and the front room where the treadmill is. If we are being honest, that last one isn’t used very much. 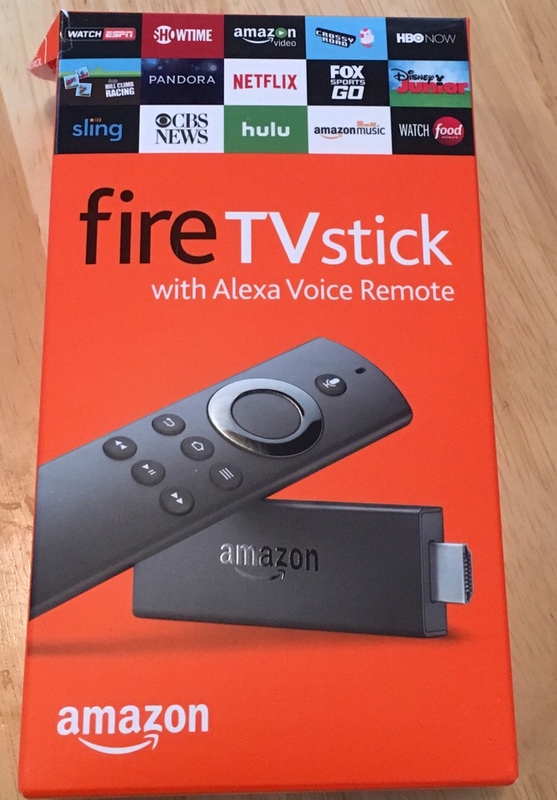 We have an Amazon Fire TV (from our wedding registry – thanks Uncle Ricky!) and an older Apple TV. Unfortunately, the Apple TV was too old (needs to be 4th generation or newer) to run the new apps. So we bought an Amazon Fire TV stick for around $40. You just need TV’s with HDMI inputs, or even a newer app-friendly Smart TV. What? We currently have a cable and internet subscription through AT&T U-Verse. Our choices here in suburban Michigan are that, Comcast (whose customer service has burned my wife one too many times), and WOW, as in “Wow, this knockoff internet and cable seems sketchy.” My two year promotional period was ending, and my rate was going to go up to about $200 for 25 MBPS Internet and their U200 TV package, which includes 360 channels. Of course, 300 of those channels we don’t watch. Of course you can “bundle” packages if you want to go to AT&T for your cell phone (we have Verizon) or home security (we have ADT), because they want a monopoly on your home. Furthermore, the quality of U-verse television was beginning to drop. AT&T wants to stop supporting it and get everyone over to DirecTV. We don’t want a dish on our roof. 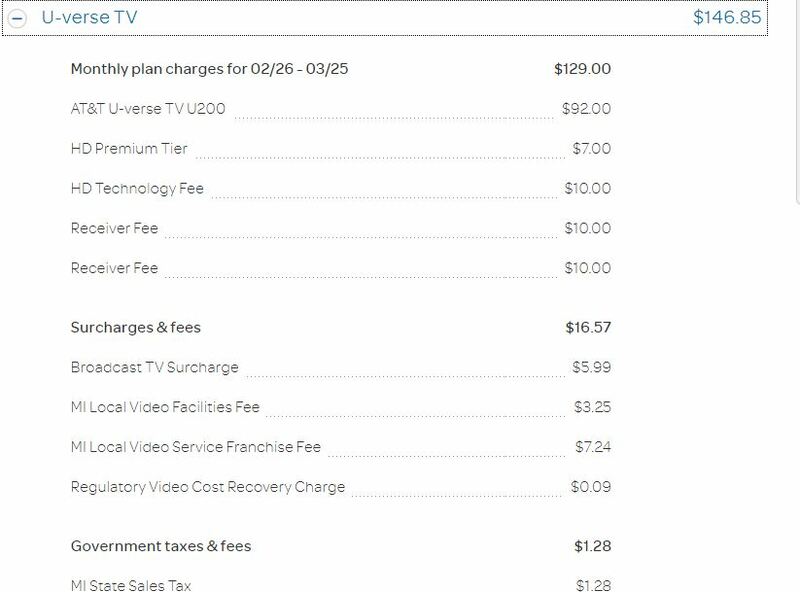 After comparing the options (most let you try the service for a week free of charge), we figured we would simplify things and stick with AT&T and their DirecTV Now package. There’s no dish required, it’s all OTT (over the top, Internet based), and we already have an AT&T account. We tried DirecTV Now for a few days, but my wife really missed having a DVR. Next we tried PlayStation Vue, which actually does not require a PlayStation console. We’re very happy with it. Like DirecTV Now, it had all four of our local Detroit channels and local news (this may be different for you if you live in a small town). And like the other service, we had all of our cable networks covered – TNT, TBS, Bravo, Travel Channel, Food Network, TLC, and HGTV for her, CNN and ESPN for me. What sold us on Vue, however, was that it was better than a DVR. Granted you have to retrain your brain for the guide as the channels go across (you can set your favorites), and the times go down the grid. But you can choose “My Shows” and they are stored in the cloud. There is no space limit – though the catch is they only get saved for 28 days. Let’s be honest though – if you haven’t watched something 28 days after it aired, you’re probably not going to. In addition to the DVR however, most popular shows have a CU in the guide – standing for “Catch Up.” If there’s a show or special you wanted to see but didn’t DVR, no worries – you can go back and watch it on demand for up to 48 hours after it airs. Yes, the guide lets you go BACK…IN…TIME! Naturally, the cable company had to be difficult on my way out. To stream live TV, you really need 40-50 MBPS Internet Speed. I had 25, and would occasionally have some buffering. So I upgraded my speed from 25 to 50, assuming my $40/month would become $50/month. Not so fast. PlayStation Vue, like most other OTT services, offer a free 5-7 day trial period, during which you can cancel at no charge. Find the package that’s right for you, and try it. See if you can deal with a few minor inconveniences, and decide if it’s worth the cost savings. To go from $200 a month to $120, we decided it was worth it. That’s what my then-girlfriend and now-wife Ellen told me when I brought her to Syracuse three years ago for the annual reunion banquet of WJPZ, my old college radio station. For those who aren’t familiar, “college radio station” is an accurate representation of who’s in charge, but not how it’s run or what it sounds like. 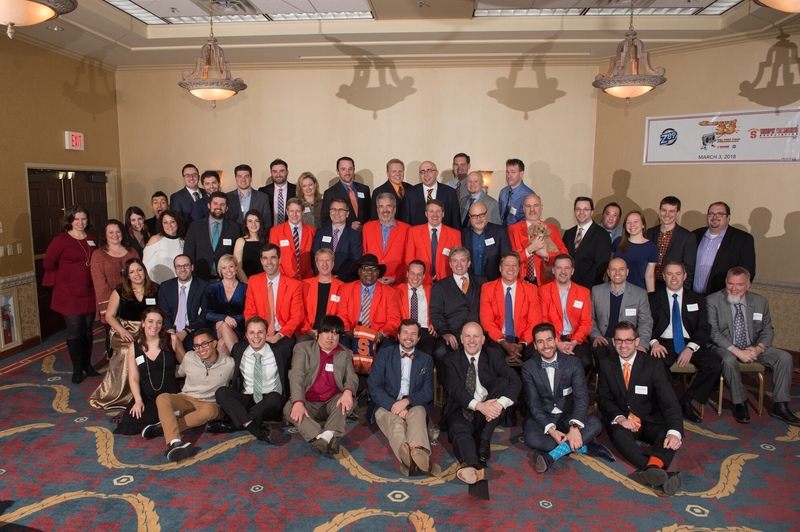 Z89 is a Top 40 Radio Station that competes in the Syracuse market, and is completely run by Syracuse University students. It’s been called “The Greatest Media Classroom,” and I learned more in my time there than I ever did in a lecture hall. I learned radio, management and people skills, and I went from being a homesick freshman in 1998 to having to be dragged off campus teary-eyed in 2002. 75% of the friends I made in Syracuse I made at that radio station. 5 of the 7 people in this picture from 2001-2002 came back this weekend. Anyone who went to Syracuse or spent any time in Upstate/Central New York knows how dicey the weather can be. And Banquet 2018 turned out to be an all-timer. 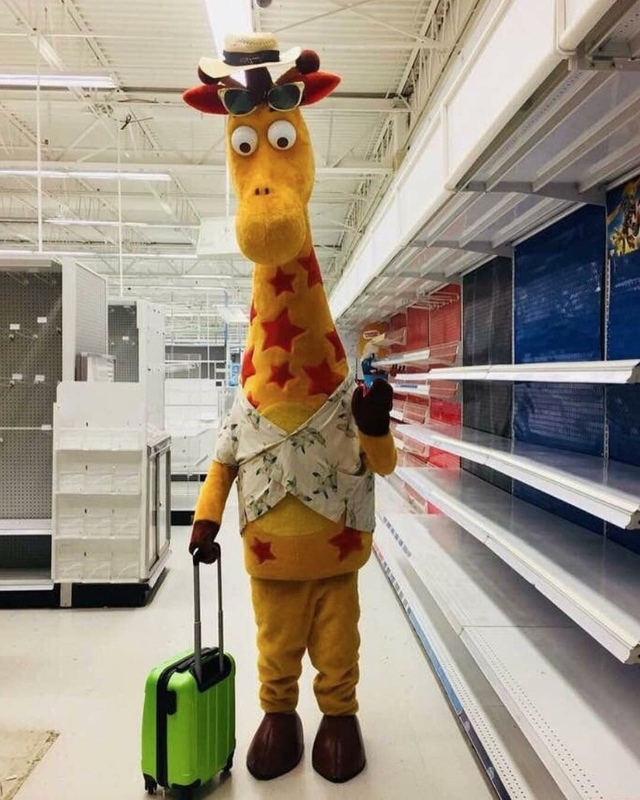 I was originally scheduled to fly to the great white north from Detroit on Friday afternoon, but as fate would have it, I was laid off on Monday. This gave me some flexibility in my travel plans. With a big storm hitting Michigan Thursday afternoon, and a FOOT of the heavy wet stuff hitting the ‘Cuse on Friday, I was able to hop in the car and embark on my 415 mile international drive – departing Metro Detroit Thursday at 10am, thankfully. When I crossed the Canadian border back into New York, I got a funny look from the Customs and Border Patrol agent. Apparently the combination of Patriots front license plate, Syracuse shirt, and Michigan rear plate had him befuddled, until he ran my passport and discovered I was born in Massachusetts. He then proceeded (remember this is Buffalo Bills country) to tell me how awful Patriots fans are, how we are cheaters, and how Tom Brady is NOT the greatest quarterback ever. Some friendly debated ensued, as I realized I was only at mile 240 of 415. Finally I said, “You know, this is like politics. I’m not gonna convince you, and you’re not gonna convince me.” He laughed, I told him I’d learned the valuable lesson to take the Patriots plate off my car the next time I cross in Buffalo, and I was on my way. While my five minutes of annoyance became a funny story, several compatriots dealt with travel nightmares. A fellow Detroit alumnus was lied to by Delta, and put on 3 flights before being ultimately cancelled and having to go home after sleeping (or not sleeping) on the floor at Detroit Metro Airport. Ironically, the final flight he was booked on was my original Friday departure – that was cancelled. Meanwhile another distinguished alum was traveling in with her daughter from Houston. A different alum did a better job of rerouting her than Delta, and got her through Minneapolis, although her two bags went from Minny to New York and Atlanta respectively. But her determination to get to the 315 speaks to just how important this weekend is to all of us. This was the first time I’d made the early Thursday arrival, and it made for a cozy night at Faegan’s Pub with a small but wonderful group. Friday got off to a shocking start. Syracuse cancelled classes and all on campus activities, following an overnight of heavy, weight snow. This is a school that cancelled classes once from 1870-1993. In my time there from 1998-2002, we cancelled once for a microburst (Welcome Freshmen!) and classes were optional as the horrific events of September 11, 2001 unfolded. Unfortunately, the cancellation of non-essential campus activities meant the same fate for the seminars we’d prepared for the students. This included one I’d worked on with fellow alumnus Lauren Levine on “The Do’s and Don’t s of Podcasting.” Students were also disappointed, so we made the presentation available by email. Due to the snow, Varsity closed at 7:30, which meant an early arrival at Faegan’s. We continued our weekend tour of beers, though nothing can match getting your name on a plaque for completing all 45 libations over the course of Tuesdays in a semester. Our weekend as spectators continued, as we watched the participants of a private party attempt at “Orange Crate Brewing Company” across the street try to navigate the accumulated snow in heels that were longer than their dresses. It was a night of networking, reminiscing, and laughs. Saturday morning started with our annual alumni meeting, and some inspiring words from the station’s current student general manager, Kerri McAneney. The station is in great shape, now broadcasting at 1,000 watts (it was competitive at 100 watts), and poised for a great future. Next was the event itself, Banquet 33. It featured an inspiringly honest speech from Jubal Flagg, host of the syndicated Brooke and Jubal morning show. He concluded with a confession that he always wanted to go to Syracuse but couldn’t get in. So he made himself an honorary diploma. As always, it was a night of radio, laughter, and family. One of my mentors at the station, Miami’s Mike Kruz, was able to return for the first time in many years. We knew going in that it would be a smaller-than-usual group this year. We also knew, however, that would mean more interaction among alumni and more networking for the students. It did. And I speak for all alumni when I say that I hope the students reach out and ask for our help in any way possible. 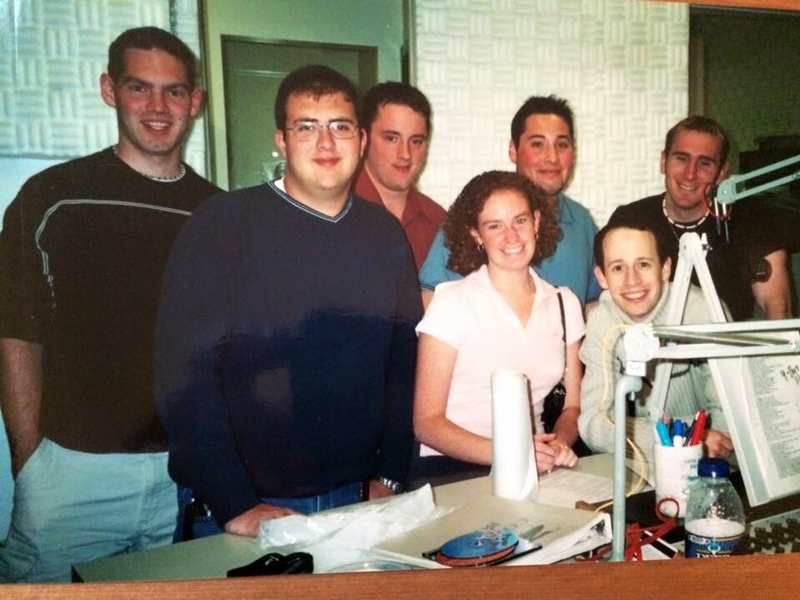 If you’ve heard Mike in Miami, or Ralphie Aversa in New York City, or Rich Davis on SiriusXM (including afternoons on Pop 2K, one of my favorites), or seen Scott MacFarlane on NBC Washington DC…know that they (among many, many others) all started at WJPZ. Oh, one final thing. We started a new tradition this year. Given that Syracuse’s colors are Orange and BLUE, this seemed appropriate.